RSVP and get exclusive access to everything below! It’s St Paddy’s Ah! Your Local Street Festival at Peranakan Place. 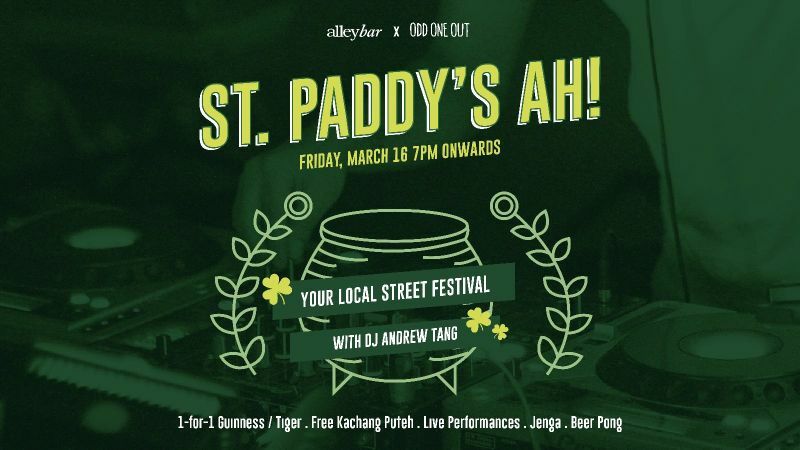 We have gao gao Guinness & Tiger at 1-for-1, and free Kachang Puteh to go nuts about. Plus giant games for the big boys! Challenge your mates to a round of giant beer pong, giant jenga and giant chap teh. Chope all, RSVP at the link. Right after Happy Hour the party doesn't stop with our St Paddy's Deals from 7pm until 3am! And usual happy hour promotions! Table reservations are highly recommended.